Are you finding it hard to grow your email marketing list? Look no further, we have a few great ways to expand your email database! Email marketing is a great way to target potential clients, consistently out-performing other costly marketing strategies. 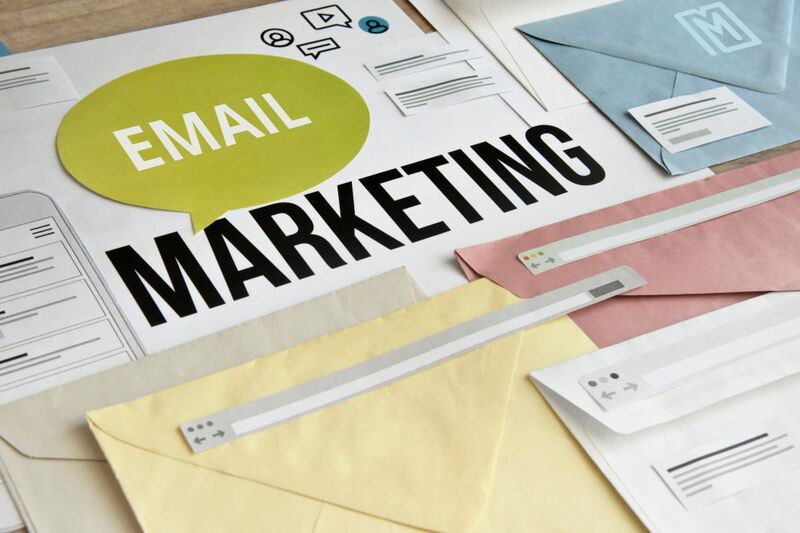 As well as being a lot cheaper than many of the activities retailers pursue, email marketing is often found to have a much higher conversion rate. It however can often be a hard task building a healthy, relevant email database so we have listed a few tips which might help you build your numbers! Focus on building, not buying lists. Email contact lists can be purchased and are often looked at as an easy option when setting up a business. This is strongly not recommended as the email contacts in the list are most likely unfamiliar with your product and will probably report your email as spam when received. Being reported as spam will not be your only dilemma, email services such as MailChimp and Constant Contact can shut down email accounts if a company exceeds 1 spam complaint per 1000 emails sent. Email lists should always be relevant to the product your marketing to ensure the best result. Offer a subscription on your website which will benefit your potential client. If you have a website and don’t currently have this service in place you are missing out on your full web potential. If you offer an incentive for a user to subscribe you will achieve a much better result. Make sure also to keep the opt-in as simple as possible – most people won’t want to give more than a first name and email. There are several ways you can entice your customer into signing up – just try to keep it as relevant as possible. For instance, if you have an online store you might offer “10% off your first purchase” when subscribing – This is potentially valuable to the client and a great incentive to provide their details. What good is an opt-in subscription form if it is placed somewhere out of sight? It should be placed near the top of a landing page where it is clearly visible and not missed. As well as having the subscription form on the homepage, you can also add it to the footer, so it is accessible on every page of your website. Another great way to grab the user’s attention is to add a pop-up on the homepage with the subscription offer clearly laid out. Remember – Keep it nice and simple, with the offer details, first name and email required… no more or you could potentially scare the user away. Creating a competition that requires an email address to be submitted can be a great way of boosting your database numbers quickly. This is where social media can be very useful as we all know how popular competitions can be on Facebook and Instagram. As well as having the usual requirements such as – Like this post and follow us to enter you would have a link to a landing page with the completion details and an opt-in form to grab their email address. I would also make sure to offer a prize that is relevant to your business – this way when you market your product to them in the future it is less likely for anyone to report your email as spam. These are just a few tips to help you increase your email database, remember that the more proactive you are with email marketing the better for your business. If you have a website that is not being used to its full potential – Contact us today and we can work on a personal solution to build your client email database. With his mystical blend of design talent and digital awareness, Gavin can transcend your design requirements into a state of divine digital purity. With an aura of peaceful calm, transforming a client brief of rambling chaos into a finished piece of designed beauty is just one step in Gavin’s daily journey. So, if you’re in need of some divine intervention to work some miracles on your next design project, Gavin’s your man.